Agile Cigar Reviews replace what we termed “Assessment Updates”. The concept is the same, but the name is different. Agile Cigar Reviews use a lightweight, shorter format. These will never take the place of our comprehensive reviews. They are only used on blends we have previously assessed. This might be a blend we are re-scoring or providing a score for a first time. It might be a blend we are looking at in a different size. Today we look at the Davidoff Escurio Robusto. This is a cigar we previously assessed back in July, 2015. The Davidoff Escurio was the second line to be included as a part of the “Davidoff Black Band” line. 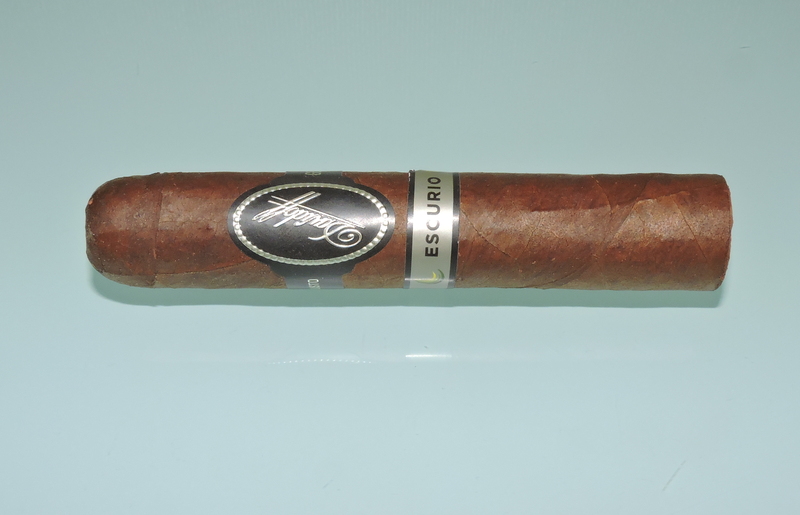 It follows up the Davidoff Nicaragua, Davidoff’s Nicaragua puro. For the Escurio, Davidoff sets its sights on another country – Brazil. However, while Davidoff Nicaragua contains 100 percent Nicaraguan tobacco, the Davidoff Escurio builds a multi-national blend that has a significant Brazilian component. The Davidoff Escurio Robusto proved to be our favorite on Cigar Coop and Stogie Geeks and it landed at #14 on the Cigar Coop Cigar of the Year Countdown. Today we take another look at this cigar. 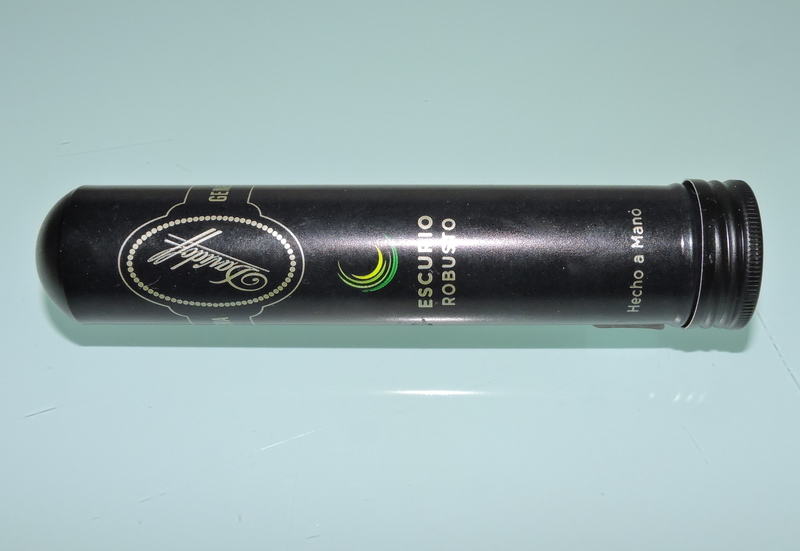 The name Escurio is a derivative of two words – Escuro (which means dark in Portuguese, Brazil’s language – and in this case the cigar’s wrapper falls into this category) and Rio (short for the Brazilian city of Rio de Janeiro – which was an inspiration for this cigar). As for the blend, it has a dark Ecuadorian Habano wrapper, a Brazilian Cubra wrapper, and filler consisting of Brazilian and Dominican tobaccos. The Robusto measures 4 1/2 x 54 and is sold in tubes. Flavor-wise, I didn’t see a lot of changes since I first smoked this – and that isn’t a negative. It still is going to deliver a mix of cocoa, earth, exotic spice, pepper, and a touch of grass. Davidoff had a goal of delivering a sweet-spice profile, and the Escurio Robusto is going to deliver it. The one difference is I did see a slight amount mellowing with the body. This cigar starts out medium-bodied and by the second half moves to medium to full. The strength level remained a solid medium. What I have discovered about Escurio is that this is a cigar that really shines in the Robusto format. This cigar remains one of the most unique Brazilian-centric blends I have had. Perhaps its a little less “Davidoff-esque” than many of the company’s other offerings, but it’s still an excellent cigar. It remains worthy of having a fight with Chuck Norris for one of these. Very surprised at the “Fight Chuck Norris”….